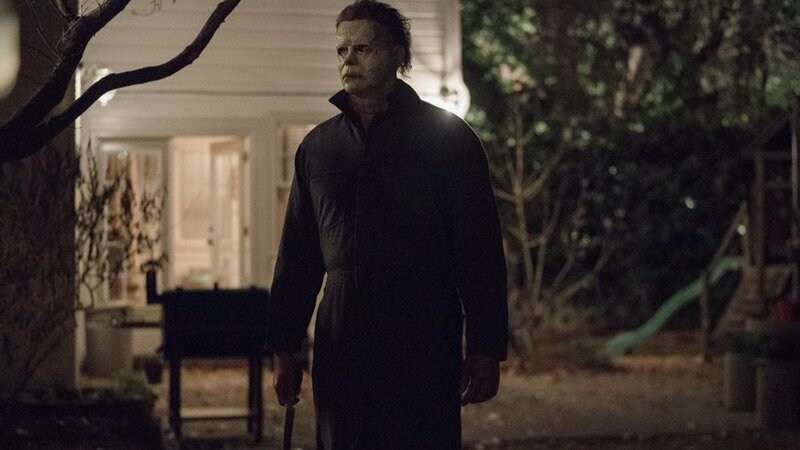 Master of horror John Carpenter not only served as a consultant on the new Halloween film coming out, but he also came back to provide the score. The soundtrack for the film will be released on October 19th, but is currently available for pre-order here. We even have a little tease of John Carpenter's score below that you can listen to. It's just a little taste, but if you're a fan of the Halloween franchise and John Carpenter, then it's worth checking out. The movie is a direct sequel to the first film, and it will feature Laurie Strode confronting Michael Myers for the first time in forty years. When we catch up with her in the film, she has spent all those years preparing to kill Michael Myers if he ever ended up getting out of the asylum that he's been locked away in. As you'll see, Meyers ends up getting out and now he is out terrorizing and killing people as he hunts down Laurie, who is ready for him. Judy Greer plays Karen Strode, the daughter of Laurie, and Andi Matichak (Orange Is the New Black, Underground) plays Allyson, the granddaughter. David Gordon Green is directing from a script he co-wrote with Danny McBride. Halloween will be released on October 19, 2018.